Musical Enlightenment In a Box! Looking for a little staying power? 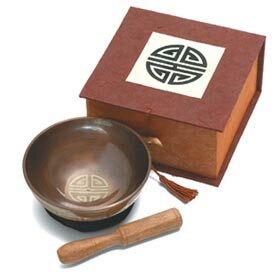 Our longevity singing bowl is the gift that keeps on giving! Each bowl is hand-tuned and sings in a clear voice. Includes 4" bowl, cushion, wooden striker and instructions. Reverently presented in a handsome handmade paper gift box.